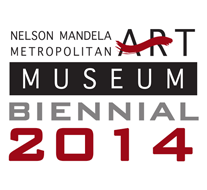 Join the Nelson Mandela Metropolitan Art Museum in celebrating top Eastern Cape art at the opening of the Nelson Mandela Metropolitan Art Museum Biennial on 29 October 2014. Guests will be entertained by one of Nelson Mandela Bay’s hottest young acts, Just Friends. The exhibition will be opened by international renowned New Brighton alumni and Tony Award winning actor, director and playwright, Dr John Kani.